Each patient is unique and can experience joint pain for different reasons. It’s important to talk to us about the reason for your knee pain so you can understand the treatment options available to you. Pain from arthritis and joint degeneration can be constant or come and go, occur with movement or after a period of rest, or be located in one spot or many parts of the body. It is common for patients to try medication and other conservative treatments to treat their knee pain. If you haven’t experienced adequate relief with those treatment options, you may be a candidate for Mako Total Knee replacement, which may provide you with relief from your knee pain. In the operating room, your surgeon follows your personalized surgical plan while preparing the bone for the Triathlon Total Knee implant. With over a decade of clinical history, Triathlon knee replacements are different than traditional knee replacements because they are designed to work with the body to promote natural-like circular motion. The surgeon guides the robotic-arm to remove diseased bone and cartilage within the pre-defined area and the Mako System helps the surgeon stay within the planned boundaries that were defined when the personalized pre-operative plan was created. 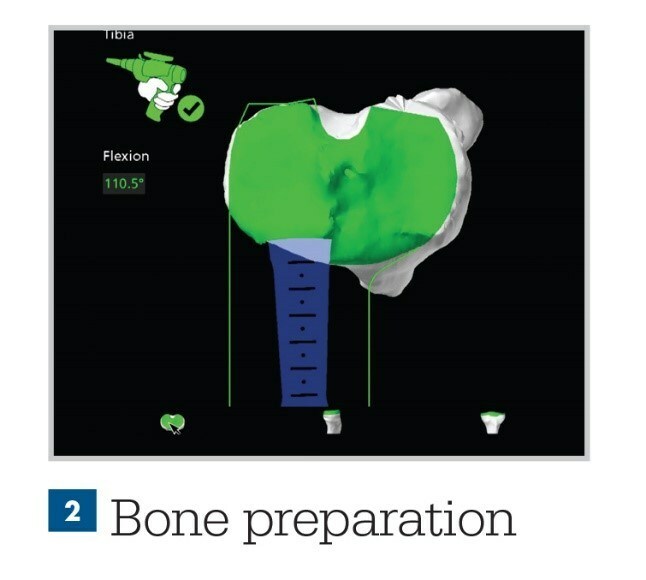 In a laboratory study, Mako Technology demonstrated accurate placement of implants to a personalized surgical plan.